Projections show that the number of elderly people will continue to rise as life-expectancy increases, predicting 7 million elderly people by 2030. The public healthcare industry is under-resourced, overcrowded and unfortunately offers poor quality of care to the 83% of the nation it serves. And with South Africa’s elderly population growing at an alarming rate, there is high-demand for more quality private care homes and retirement villages across the country. There is an increasingly ageing population in South Africa, with 4.1 million people aged 60 or over at the time of the 2011 census. Projections show this figure will continue to rise as life-expectancy increases, predicting 7 million elderly people by 2030. There is a demand for more care homes and retirement villages to be built across the country, in order to cater to this growing demographic. However, there are some provinces with a higher ageing population than others, which is important to note when you’re looking to buy a care home. The Eastern Cape has the largest elderly population in proportion to the total number of residents, at 9.2%. The Northern Cape has the second largest, 8.2%, and the Western Cape has the third largest elderly population, at 7.8%. According to the Global Retirement Index, the primary concerns for the elderly population are healthcare, security, and material well-being. South Africa scored 34% globally in this index, showing there is a huge scope for improvement. Consequently, there has been a rapid growth of retirement village developments to cater towards the growing elderly population who are keen to invest in their old age. It is important to know from the outset what your mission statement and objectives are for your care home business; what type of care do you intend to offer? Will you offer medical care and employ nurses to work within your facilities? Or will you offer frail-care, which involves helping elderly patients perform daily living activities, such as eating, bathing and being mobile. You should also remember that care homes do not only cater to the elderly; you may consider specialising in care for children with behavioural disorders, or help youths affected by Aids/HIV. You should also decide what size you want your business to be and how many rooms you intend to have. Some nursing home operators prefer to operate on a small-scale and offer a more intimate level of care in comparison to larger competitors. Finding a care home business that best matches your criteria and price range is a good start, but do thorough research into the industry. Join groups and discussions, such as the South African Care Forum, a website that unites aged-care and disability sectors to address issues in South Africa’s healthcare sector. It is also important to research how much you intend to charge for your facilities, this will very much be dependent on your location, the facilities and services on offer, and the quality of your room and accommodation. For example, frail-care facilities cost between about R13 000 and R25 000 a month, whereas a typical fee for a sub-acute care can start from £39 750, which doesn’t include therapy, doctor visits or medication. Home-care services are becoming increasingly popular, with many elderly South Africans choosing to grow old in the comfort of their homes or their relatives’ homes. There is also a growing number of single-member elderly households, at close to 27% in 2011. More than half the elderly population live in extended households, which could be an annexe or adjoining room in a family members household or on their land. 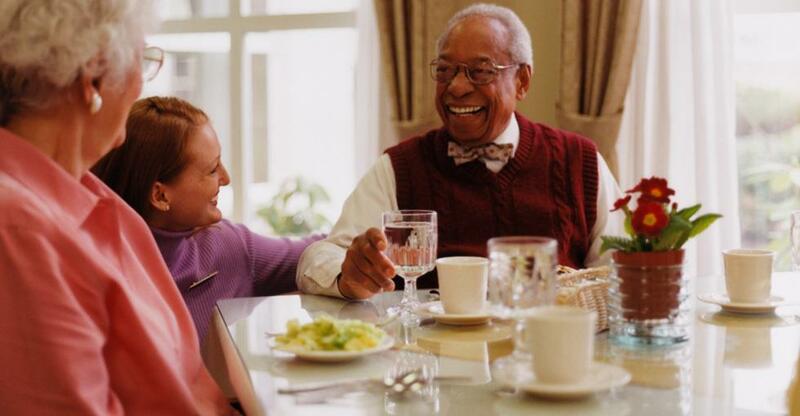 Research shows there are more elderly women living in extended households compared to their male counterparts. However, for those who are no longer able to look after themselves and have no family to depend on, retirement villages and care homes is the next best option. An increasing number of retirement villages sprout up across the country, meaning competition is growing, so, promoting your care home facilities is a vital step in keeping your business alive. Specialising in a certain department of care will also help your nursing home stand out from other more general facilities in the area. Many nursing homes are aimed at solely at helping elderly patients suffering from dementia. There are around 750,000 people in South Africa who have Alzheimer’s requiring full-time care from qualified nurses. However, some care home facilities are purposefully choosing not to include a healthcare centre and simple offer assisted living. When you’re choosing which care home business to buy, you should decide what type of facility would target the demographic of residents in the local area. Getting the marketing right for your healthcare business is vital; you’re asking potential customers to trust you and your business with the responsibility of caring for an elderly relative. Gaining that level of trust will mainly be achieved through meeting the customer in-person and on-site. Creating a website and using social media profiles are great ways to convey the ethical standards and morals of your care home and the services you offer. Remember, the tone and of your social media updates and the photos featured on your website are important tools in helping customers decide whether your care home is the right environment for them.